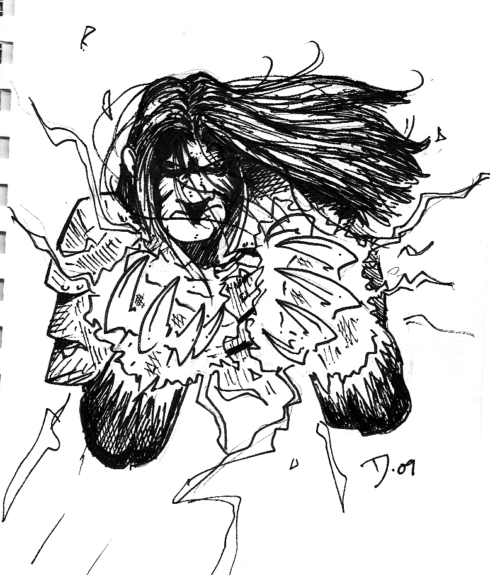 This week I was interviewed by the lovely local comic book podcast, The Capeless Crusaders, specifically hosts David Barrie and Amy Nunag, in an episode focusing on independent comic creators. I had the pleasure of being one of two guests on the episode, the second being Scott “Fuzzy” Joseph who was promoting his book, The Warren Hope. It was a lot of fun to be on the show, and one thing that came up at the end was my history playing Dungeons & Dragons, which is a very short and loose history indeed. 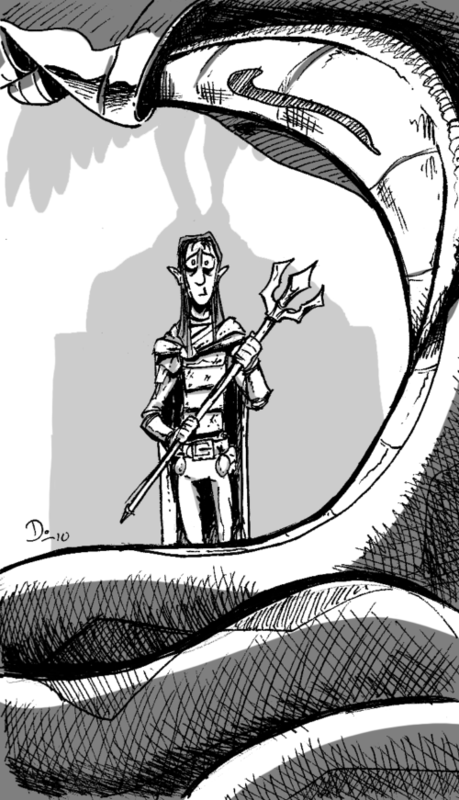 I mentioned my basic arc as a player through any role-playing session starts earnestly enough with the desire to get caught up in the communal imagined narrative before giving way to me hanging back and watching everyone else play while I draw what happens. 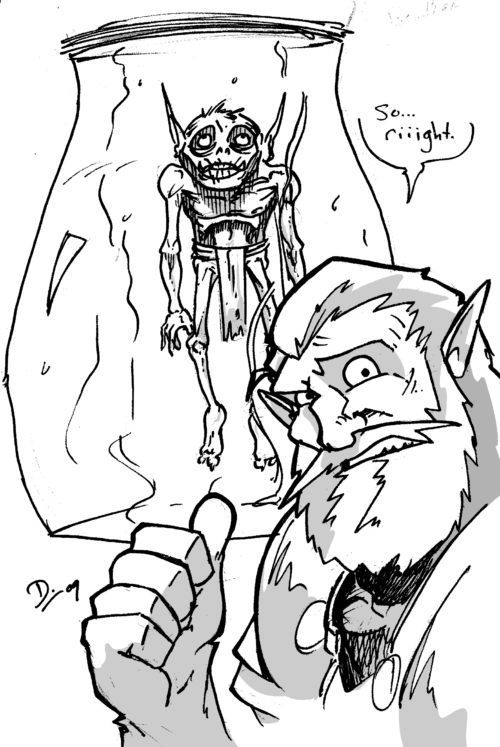 After bringing that up, I figured I could dig through my hard drive and see what old D&D drawings I could dig up. 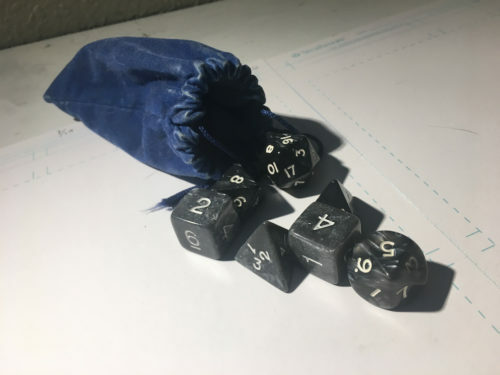 My smoky-gray dice that I’ve had since high school but have sparingly used. 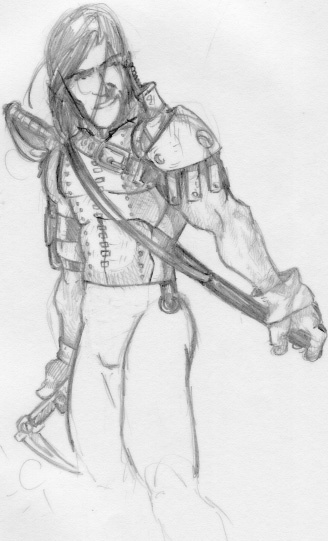 Early on, I mostly just drew characters as heroically as possible or moments that stood out in particular. It was mostly about the drawing rather than trying to capture any of the story that may have been going on at the table. 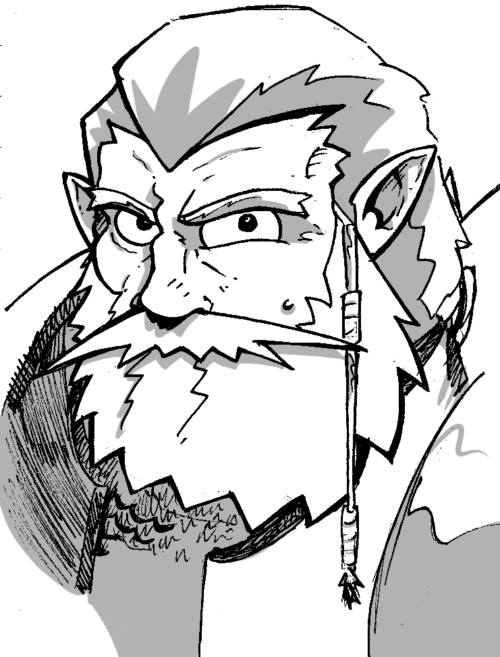 “Viln”, a dwarf from a campaign played in 1997 or ’98. An unfortunate turn of events from 1997 or 1998. 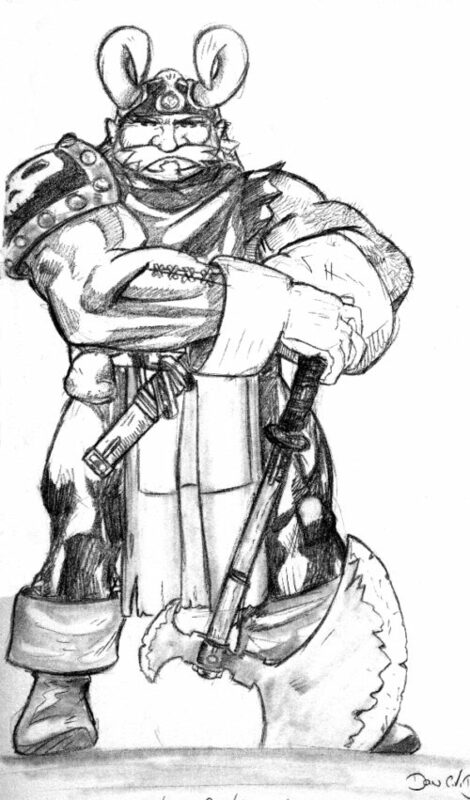 A half-elf character from a game around 2000. The only time I really played an extended game of Dungeons & Dragons was in 2009, which was the game and character I mention in the interview. In this game, I drew fewer portraits. I also didn’t really draw important moments. Instead––referencing another element brought up in the interview, I found the humorous or quiet moments more enticing to draw. 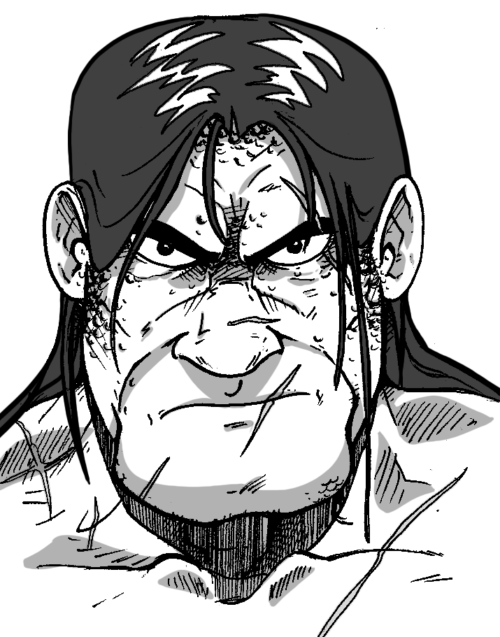 A character (not mine) named Frarank bringing the business. 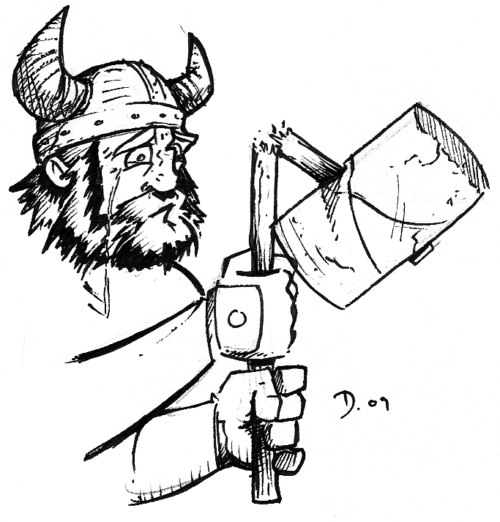 A dwarf character (not mine) named Thorgrimm breaks his hammer. 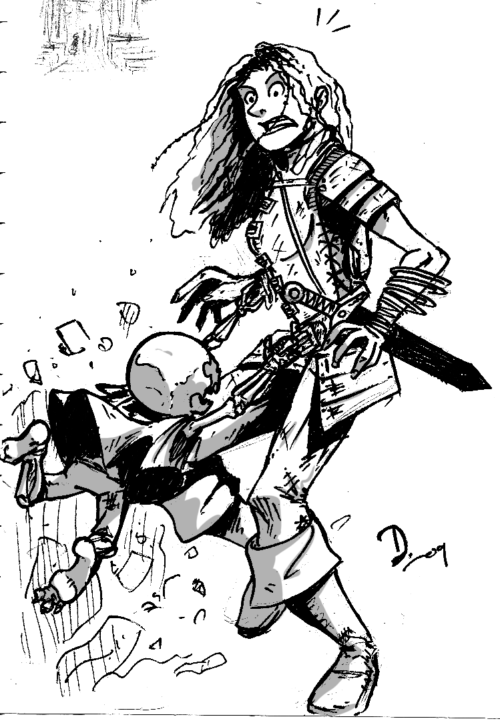 A child skeleton attacks a member of our party. Thorgrimm is a little nervous about some of the merchandise in a store. My character (name forgotten) accidentally steps in way over his head into a particularly deadly situation. 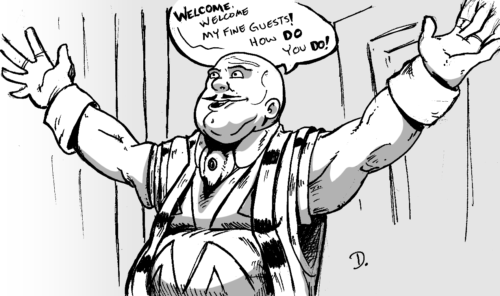 A particularly gregarious mayor welcomes the party to town. 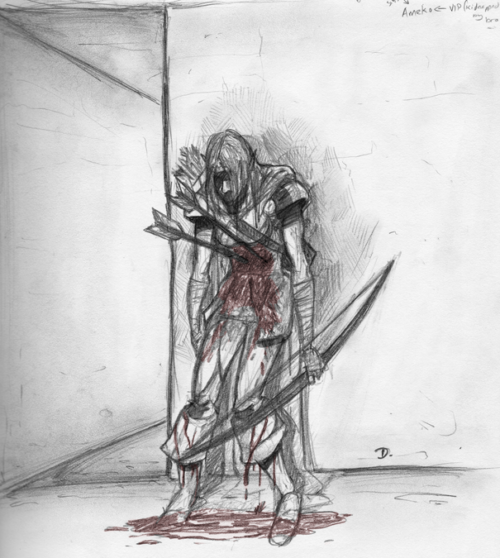 One of our party meets a vicious, but heroic, end. 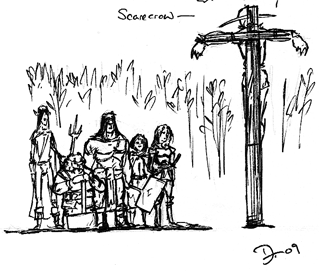 The party happens upon a suspect scarecrow. All of this to say: I don’t want to play D&D despite the fun bits of creativity it yields. Though this seems like a lot, these are bits that pop up through dozens of hours of gameplay, and that’s what I remember more than the actual “fun” part of playing tabletop role-playing games. They are a genre of gaming that I should love, but I don’t have the staying power for it. So, I admire it from afar now, and that’s probably the best place to observe it from, for me.